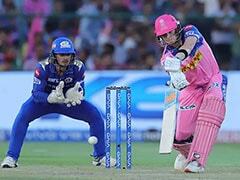 Mumbai Indians won the thrilling final by just one run to lift their third IPL title. © Mumbai Indians/Twitter. 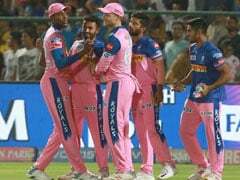 Magnificent death bowling saw Mumbai Indians clinch an incredible one-run victory against Rising Pune Supergiant in a thrilling Indian Premier League final at the Rajiv Gandhi International Stadium on Sunday. The game was indeed the closest final in the history of the tournament. The match was heading towards a tense finish when 7 runs were needed off 4 balls and it looked like RPS will clinch their maiden title. 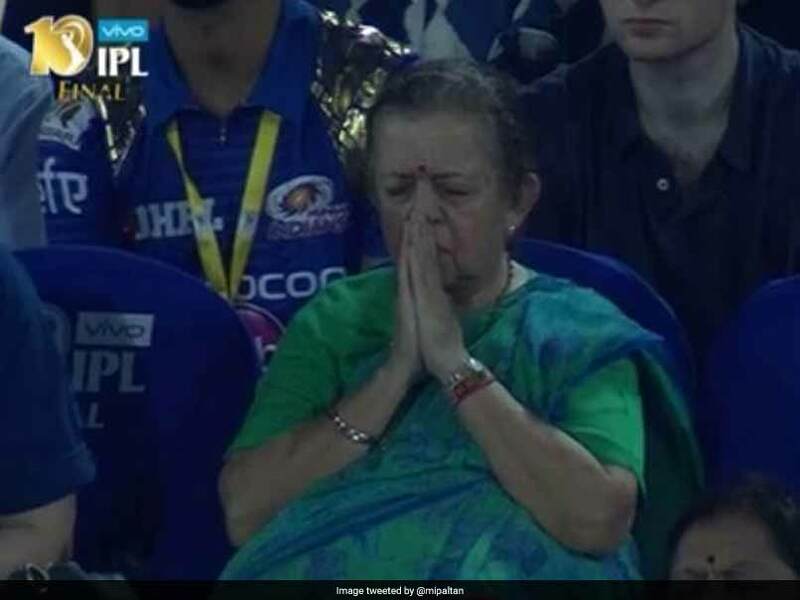 That was the moment when the camera was panned towards an 'aunty' who was seen lost in prayer in the Mumbai Indians' stand. Within minutes her photo went viral and Twitterati named her 'Prayer Aunty'. Finally, Mumbai won the thrilling final by just one run and lifted their third IPL trophy. Bollywood star Abhishek Bachchan took to micro-blogging site Twitter to reveal the identity of the 'Prayer aunty'. "That is Mrs. Ambani's mother. Popularly referred to as "nani". The lucky charm," junior Bachchan wrote on his Twitter handle. @BuzzFeedIndia That is Mrs. Ambani's mother. Popularly referred to as "nani". The lucky charm. This was MI's third IPL trophy in 10 editions and even more special for their skipper Rohit Sharma, who is the only captain to have won a hat-trick of titles. 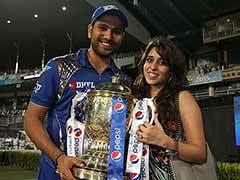 Rohit has in fact now won four IPL titles (one for Deccan Chargers in 2009). 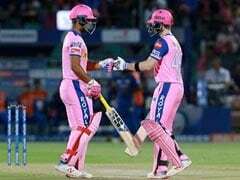 Chasing a target of 130 runs, RPS could only manage to post 128/6 in their 20 overs. Australian fast bowler Mitchell Johnson was the most successful bowler for Mumbai with figures of 3/26, while young pacer Jasprit Bumrah also played a crucial role, returning with figures of 26/2 in his four overs. Mumbai Indians won their third IPL title. 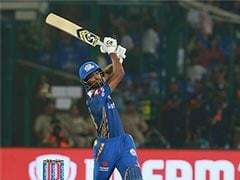 Mumbai Indians beat Rising Pune Supergiant by 1 run.